Meljen's Designs Design Team and Challenges is having Challenge #143 - White Out... and it IS indeed a challenge! I kept wanting to add color... then... I didn't know where to stop with the embellishments! I kid you not... I was on the verge of using white flock... but I made myself stop! :) lol I used a Meljen's Designs image... a freebie called Love Strung Birds. I added color to the digital and stamped images with Copic markers in N00-Neutral Gray, R20-Blush and Y02-Canary Yellow. 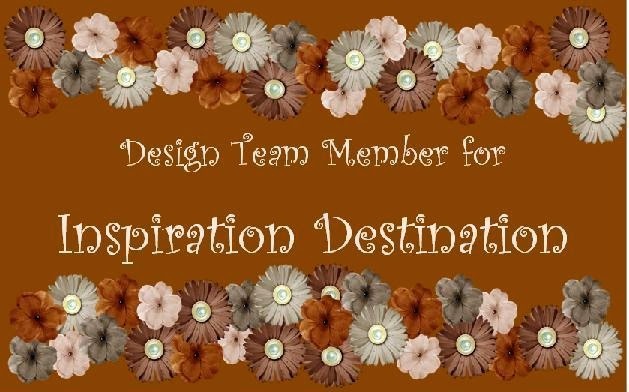 I used an embossing folder from The Paper Studio at Hobby Lobby and Robin's Nest dew drops. The card stock, ribbon and tag are from my stash. The stamped heart on the tag is from a clear stamp set Love Letters at Raisin Boat. The corner punch is from Fiskars. Way to go on getting this in 5 challenges. I am so happy one was Raisin Boat. Thank you for sharing your sweet card with us. Good Luck on all of your challenges. 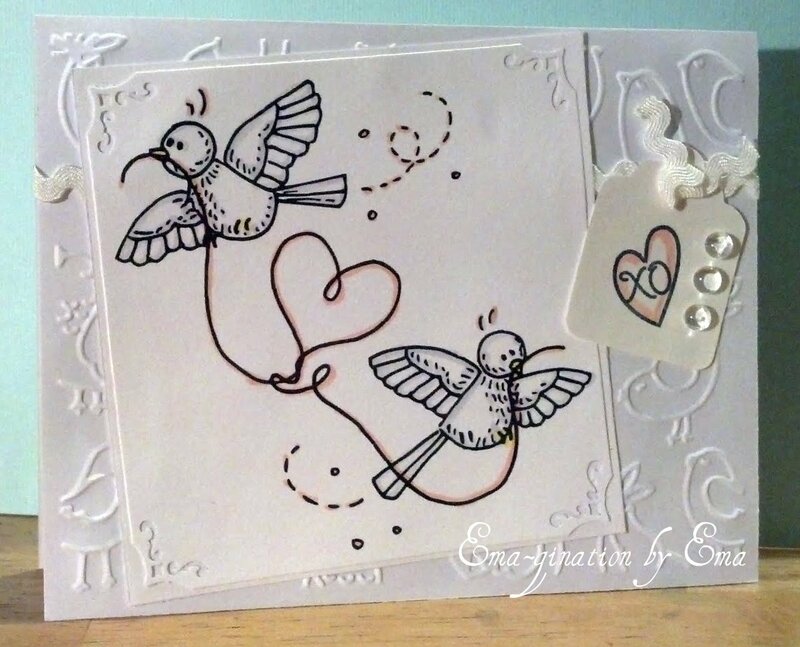 A beautiful card Ema...love the image you have used. Thank you for joining us at CC&CC and Good Luck. Embossing adds so much when you can't add color! Love the soft colors of the image. Congrats on entering 5 challenges! Thank you for joining us this week at Meljen’s Designs for our White Out challenge!